The Restaurant will provide dishes of the highest quality. To include the 'Pub Classics', Sunday Lunches and further introduce a style of cooking influenced by fine dining restaurants from London to New York and Sydney to Copenhagen. 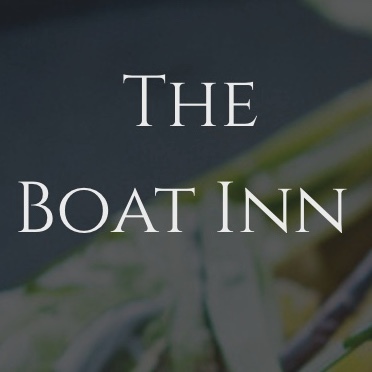 The goal of the restaurant is to provide the highest quality, locally sourced produce cooked with great care and presented in an innovative style to please the eye and satisfy the pallet. Lovely evening. Attentive and knowledgeable staff. Fantastic restaurant, attentive staff and amazing food! It was our first proper date night in years and we felt like the staff were really attentive and friendly. There weren’t many other tables filled (it was early) so we felt like we had a whole section to ourselves and that it was super intimate. Loved the decor and the extra food bits! The only downside was that there wasn’t really a choice if you’re vegetarian. I’m only a month into being veggie and decided to have a “cheat day” because there was only one choice for starter and main, and i wasn’t sure i’d like the main. Overall we had a really lovely time and would come back on the future! Hopefully there will be at least another veggie option ☺️ Oh! And the chickens by the car park were a super cute addition! A very satisfying and enjoyable few hours... the ‘tasting lunch’ was excellent, as was the service. Highly recommended. Another great lunch at The Boat with the family. The halibut and choc/malt dessert were especially delicious. Outstanding food as always and the service was excellent too. The front of house colleagues were welcoming yet professional and it was lovely how the chef team were involved in bringing out the courses to help explain the components of the dishes. Thank you for a wonderful evening. A superb dining experience. Fabulous food and great customer service. Thank you. The food was very good but I felt it was very expensive at £40 each for two courses with drinks for Sunday lunch. Two bottles of still water £7. Service charge added automatically. Will not return. The difference between this and other restaurants offering very similar food doesn’t warrant the difference in prices. I was particularly impressed that my allergy needs had been passed on from my previous visit. Well done! We came here for a birthday treat. The desert  what’s the best I’ve ever had, and I have been to some amazing restaurants over the years. Fabulous food with great service. Loved watching the well organised kitchen operate. Great family afternoon out. Absolutely excellent. The staff were very helpful and friendly. Our waiter Michael did a great job. The food was out of this world. Thank you for a great experience. Impromptu lunch was very nice. Tried the set menu and thought was good value but felt service was quite slow which for an evening wouldn't be a problem but lunchtime was more so. Liked the limited choices of fresh items felt items were well presented and tasted very good. Thought service be could be more attentive ordered drinks that didn't come, had to wait too long for order to be taken and between courses plus problem with bill in that we were charged for drinks from table next to us but was quickly resolved. Very much liked the hand made petit fours especially Turkish delight. A lovely treat for Mothering Sunday. We were expecting a 'full' tasting menu and weren't in any way prepared for the HUGE plate of delicious roast beef with all the trimmings! We came for lunch on Mother’s Day when they served an amazing taster menu (advertised as 5 courses but in fact more like 7!) Everything was delicious - the quail’s breast on butterbean Houmus, cod loin and mussel chowder and carrot cake with candied walnuts and walnut ice cream were particular favourites. Truly original and delicious food presented as a work of art - up there with the likes of Pollen Street Social but in rural Staffordshire and at very reasonable prices for the quality. The staff were very friendly and helpful - a really unique experience. Thank you! What a little gem of a place that I didn't even know was on my doorstep! From the moment you walk in to the moment you leave the staff, ambience, food and drink were just outstanding. What a Wonderful place to eat the boat is. Everything about it is superb. Polite, attentive service,friendly atmosphere, great range of drinks,& the food is out of this world, easily the best place to eat. We will definitely come here again & would totally recommend. Thank you Liam & all your staff, for what was a special treat for us. The food was exquisite, the atmosphere relaxed and the staff charming. Thank you!